**The winter session of Strength for Endurance Athletes will pick up again in mid-January. 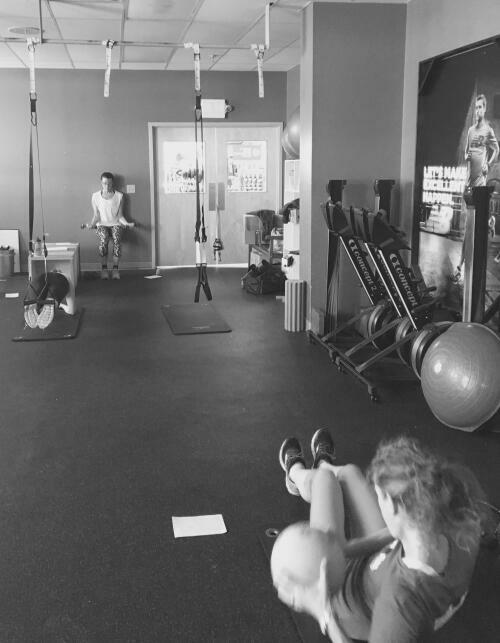 The class offers a fast-paced and strength-specific routine that focuses on core, stability and single-leg movement. Short bouts of plyos and cardio will complement the functional strength work, and no two days are ever the same. Come prepared for an excellent workout while prepping your body for an injury-free season! The class is led by Sustainable Athlete Coach Sarah Russell, a world-class competitive triathlete who tries her best to convince people that strength work is a key! In class she will meet you at your level of comfort and adapt all exercises to one’s ability.